Sometimes people need more storage than what a USB flash drive can offer. Getting the best external hard drive won’t just give you more storage, but it’ll also deliver additional features to give great value for money. 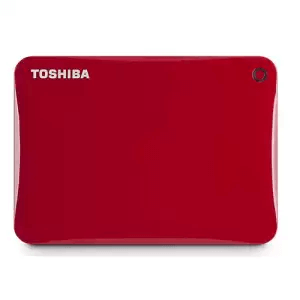 In this page, we’re going to talk about how you can get the best external hard drives in the Philippines. Furthermore, do check out our list of our recommended the best external HDDs in a ranking format just right after our guide. 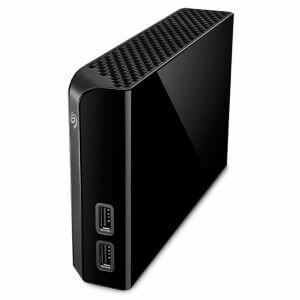 We will introduce external HDDs that can store the data of your PC, smartphone, PS4 or Xbox One. We hope you can find your best HDD! 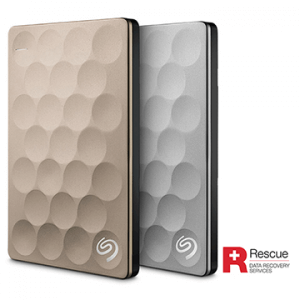 Getting the most out of an external hard drive requires choosing the best model for your needs. With that in mind, let’s check out the important points of choosing the best external HDD that fits your requirements. External hard disks with Network Attached Storage (NAS) features allow users to share data with different devices. Additionally, ensure that the device supports the operating system (OS) of connected devices to make full use of its features. If you want to use your data across multiple devices, then choose an external hard disk with NAS. This feature lets you access different files and media from your computer, smartphones, and other connected and compatible devices. Users may even show business presentations without using another storage device. Ensure that the chosen external hard disk is compatible with your computer’s OS. For example, if you have a Mac and the external HDD you bought is only for Windows PC’s, then the device will either have limited functionality or it won’t work at all. Also, most external hard disks on the market are now compatible with recent Windows OSes, namely 7, 8, and 10. Always check if the external storage device is compatible with older Windows OS like XP or Vista if you use these OSes. On-the-go users may require plenty of storage for their files. With that in mind, a portable external hard disk is the recommended choice. These compact models tend to work only with PCs via a USB cable, without a power cord. Keep in mind that there’s a risk of the device hitting other objects so getting a durable model is always a good choice. Also, don’t just immediately remove the external HDD right after use. Make sure that there’s always a proper practice of the safe removal of the hardware to avoid damages. 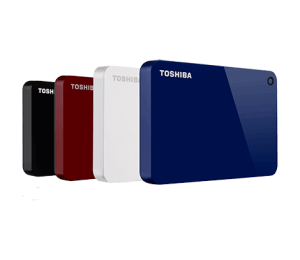 It is said that an ideal external hard drive offers 3 times the storage than what they normally use. For example, if you normally use about 300 GB of storage in your computer, then it’s wise to choose a drive that offers 1 TB of storage. If you use an external hard disk for recording videos with a security system, you might want to check how much a 1 TB drive can store in order to know how much capacity you need. A 1TB drive can store about 100 hours of full high definition (FHD) video or 15 hours of 4K video. Also, a 1 TB hard drive can store about 250,000 large-sized photos or 150.000~200,000 songs. After reading through our guide on how to choose an external hard disk, it’s time to look at some of the best of these devices on the market. 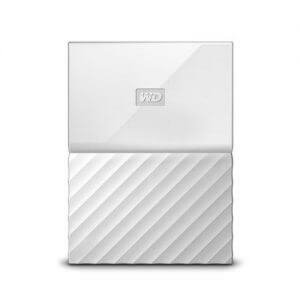 Check out each item on our list to see which external HDD fits your needs. Dedicated NAS systems may require you to spend more than ₱ 10,000. However. if you’re looking for an external HDD that offers similar remote access features with an entry-level price tag then this is the model for you. 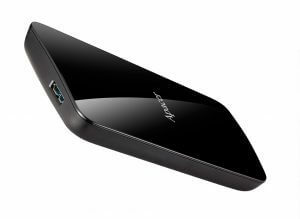 It comes with the Pogoplug PC software built into the device that allows you to remotely access the files in the drive. The plastic outer shell of the drive may get damaged from a fall, but it should be alright if you always take the device’s safety into account every time. 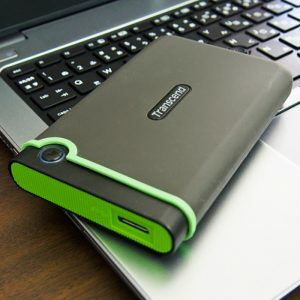 Plenty of external hard disks on the market prioritize on giving additional storage and backup solutions to computers; thankfully, this model lets you back up the files from your smartphone. You can use the Mobile Backup feature to store all your smartphone’s data to the cloud and to this device. Its data transfer speeds are decently average, but the values are enough for most casual users. 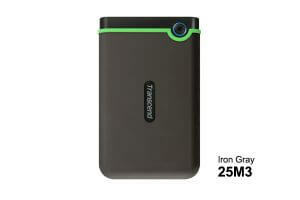 People who often use their smartphones to store and transfer important data should definitely use this external HDD. If you’re looking a portable external HDD that can help you save hundreds of hours worth of game data, then definitely consider using this device. Aside from being compatible with both Windows and Mac computers, it also works with Sony’s PS4 and Microsoft’s Xbox One consoles. For added security, the drive also has an auto-backup feature whenever you connect it to a computer so you don’t have to worry if you forget to do that particular task. If you’re looking for a portable solution to keep your important data and files secure, then this external hard disk might be your next device to buy. 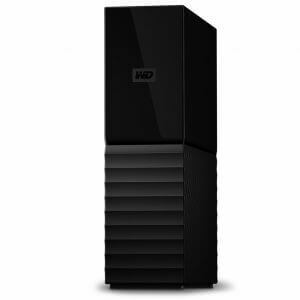 It comes with 256-AES encryption, which means everything you put inside the drive will become encrypted. Even if you lose this hard drive, your personal data is highly secured. Furthermore, it also comes with the brand’s Backup application that allows you to backup your files to a selected cloud service like Baidu or Dropbox with an easy-to-use interface. 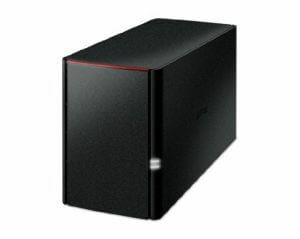 This model has a triple-layer protection to protect the drive from shock and dust. 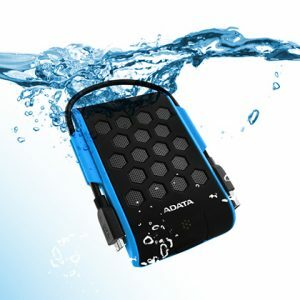 It’s also IP86 waterproof which means the drive can be submerged in water with depths of up to 2 meters without worry. As for its data reading and writing speeds, it peaks at 140 Mbps which is decently average for real-world scenarios. Ultimately, if you constantly require transferring data in outdoor environments or if you’re just a clumsy person, then definitely look into using this product. Heavy users of external hard disks may find themselves buying a new device sooner than later because of constant use. You can put your mind at ease in this regard when you use this model and its power saving features. It will only use the appropriate amount of power for USB 2.0 and 3.1 connections. Furthermore, if the device remains connected to a computer but is idle for over 10 minutes, then it’ll automatically switch itself to power saving mode. As such, it can effectively extend its life which is ideal for users who always transfer files across multiple devices on a daily basis. If you want more than 2 TB of storage capacity that you’d normally get from portable external hard disks, then consider this desktop model. This external HDD has 3, 4, 6, and 8 TB variants on the market. Aside from its large storage capacity, it also comes with 256-AES encryption for added security. The included USB cable is only 3 feet, but you can remedy that concern by buying a longer cord. 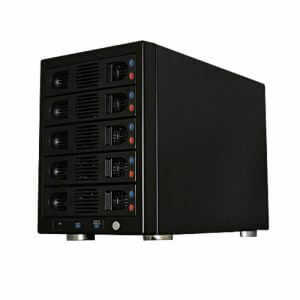 Overall, this model is a good start to store and back up your large files from your PC. Connecting an external storage drive to your computer generally means sacrificing a USB port. However, this device lets you have two extra ports when you use it with your Windows PC or Mac to bring flexibility to its list of benefits. It’s not a portable model, but this external HDD is slightly more compact than its other desktop-type counterparts. As a result, it can nicely fit your desk even if your desk has an only limited space. This device is great for users who like to connect plenty of peripherals to their computers. Some backup applications might require you to spend more time and effort than necessary because of complicated instructions. Thankfully, this model lets you backup your selected files with a simple touch of a button. Furthermore, the outer casing has a military-grade drop-proofing for that added durability. Its simple-to-use features and hard-wearing shell make it a good choice for active people that require file transfers every now-and-then. It is also compatible with PS4 and Xbox One. A large majority of external hard disks on the market require you to connect the device to a computer, but you can connect this model to a router. In doing so, you can let other devices on the same network to share and use your files. Its design even comes with large grilles for proper air circulation to avoid overheating. 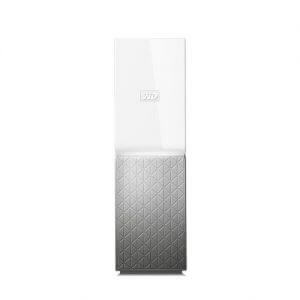 Overall, this external hard disk is an ideal choice for homeowners to keep a backup and share media and files with other household members or for businesses to share data among employees. Now that you’ve read through our guide and saw our recommended external hard disks, you should now have a good idea on what model to buy and use. Always consider your needs and budget before buying an external HDD. When you do, then you’ll get a storage device that’ll serve you for days, weeks, and perhaps even years to come.